And with these ex-Dieselgate wheels, it certainly meets that description. I wonder if it fits that description too much, when in the situation shown in this location. Wow, it just blends in... is that really an R? It looks so pedestrian! It’s harder than I expected to get good video of an exhaust setup. I guess I could have tried for a little less crazy, and more of just the camera behind the car. I hope mine turned out more fun. The majority of the video I took was trash due to the windows being down and my phone not blocking wind noise at all. 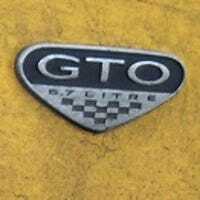 Is film a (good) video of the exhaust sound on my GTO. Back to the 80's Write-up! Written up by a member from another club in the state. Somehow my car (not the one I posted here), made for the lead photo! Who Escaped the Shackles of the Garage? I remember that I do like this car. So, so much... do I want a Corvette, or stick with this beast? Another video of a cruise by some water, on nice roads. Different vehicle this time, because I like driving them all. The wind made its way to the mic more this time despite anything I did different. Oh well, hard to tell that they’re headrest speakers anyways. I did a little test drive, only in neighborhood streets. I know the LT5 is known to be soft at low rpm, but does having the power key on or off have an effect on city street driving? Or would you only notice it when romping on the throttle? I think I saw 3k rpm. ...it was always a good view, but it’s so smooth now, too. First Start in a Year. "Cold Start" or no? Bought a new battery. Popped her off. Spotted that my tabs were expired, so I instead spent a while driving around the streets in my neighborhood. LS1 = Wonderful. I narrowed down just a few* of the pictures I took from the show last weekend. My internet upload speed hates me, so hopefully this will work. We had a fantastic show! A great variety of cars that you never see on the road anymore, and probably even some that you forgot existed! Full moon. Yes, that’s just moonlimoonlight. I was hoping to get some stars in the sky, but I couldn’t find the settings to make that happen with such a bright moon. Oh well, more time to keep playing needed. Such a great time of year. That is all. What kind of idiot buys a yellow truck? There’s at least two of us! I can’t tell if my truck is small for its size, or big for its size.